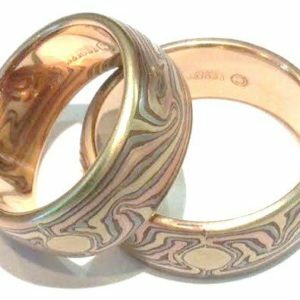 Unique gold wedding rings are handcrafted in the difficult technique of Mokume Gane. 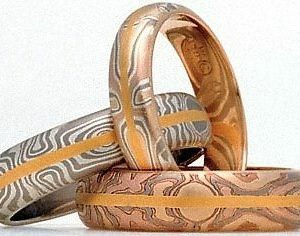 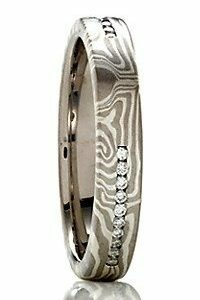 The term Mokume Gane means wood grain metal in Japanese. 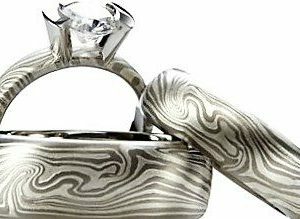 Inspired by Samurai swords, these unique and unusual wedding rings become art of amazing beauty and durability. 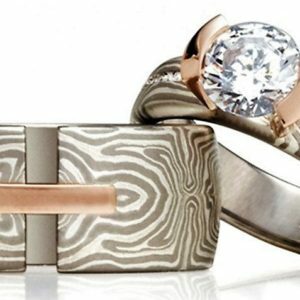 Imagine the edge of a piece of plywood…but instead of wood, picture multiple layers of gold. 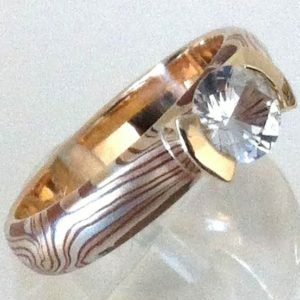 This stack is then folded and fused to reveal the unique intricate laminations in amazing swirly detail. 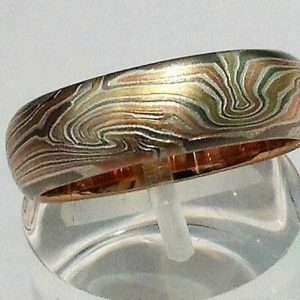 Mokume looks simple in fabrication, maybe like marbling paint on a surface. 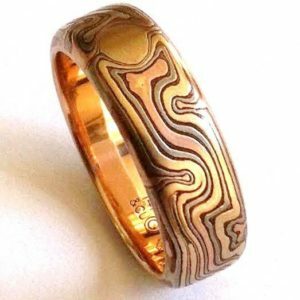 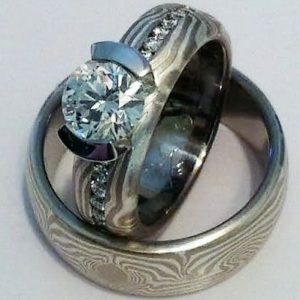 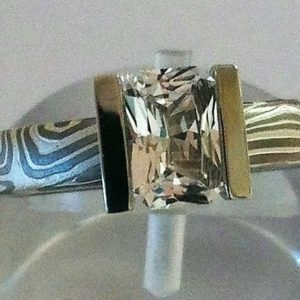 However, the technique is extremely difficult since the layers of metal permeate the entire ring to the inside gold lining, thus preserving, as well as revealing, layers of metal with each passing decade. 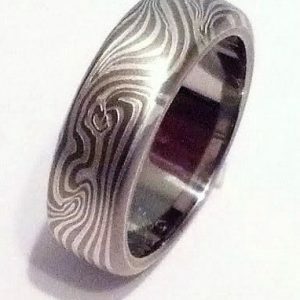 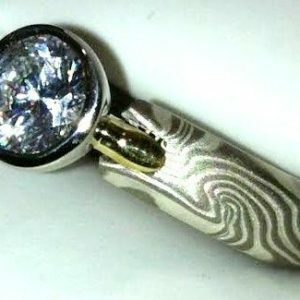 These become more intriguing with each year, a fingerprint of a person’s life on their ring.